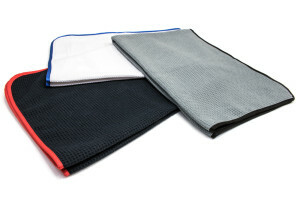 These are exceptionally soft and absorbent waffle weave microfiber towels. Pamper your vehicle with only the best auto drying towels. The super capillary action of the waffle weave drying towel fibers guzzle water like they've been stranded on a desert island and are woven into a waffle pattern that wicks up water like a hundred tiny windshield wipers. After the waffle weave microfiber cloth fabric is woven, dyed, and split it is mechanically polished to create an extremely soft and delicate finish. 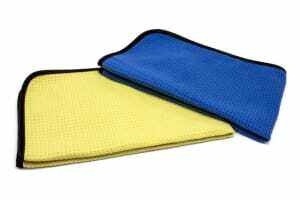 No chamois, cotton towel or competitors towel will beat this waffle weave microfiber drying towel when it comes to drying anything. Always wash your waffle weave microfiber towels prior to use. 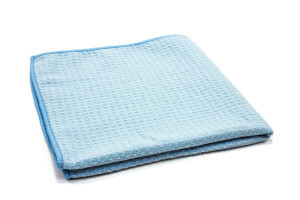 Wash these waffle weave towels separately from other fabric types. Do not use bleach of fabric softener. Dry waffle weave towels on a low setting.